INDIANAPOLIS (WLS) -- July 1 means a new set of laws are now in effect in Indiana. It's now legal for Indiana residents to own sawed-off shotguns, including shotguns with barrels no longer than 18-inches. Here's one commuters will understand: drivers going slow in the left lane can now be fined. Casinos are now allowed to move operations from riverboats to land. And voting is good, but taking selfies with your ballot is bad. 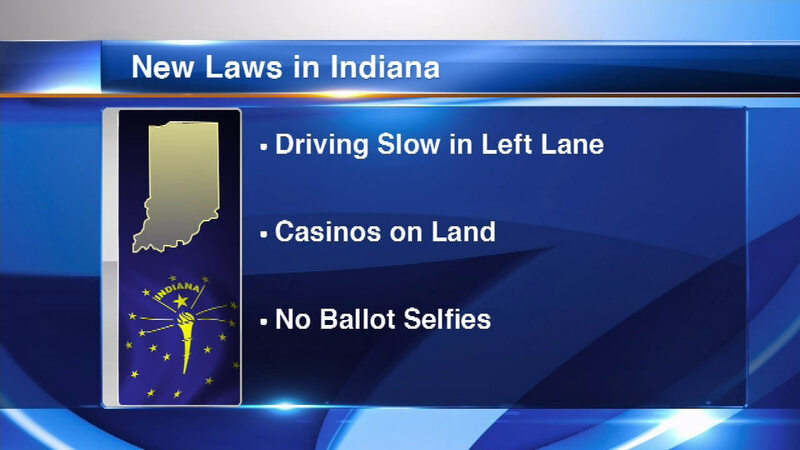 No more photos in the voting booth in Indiana.